What gorgeous boys you have! 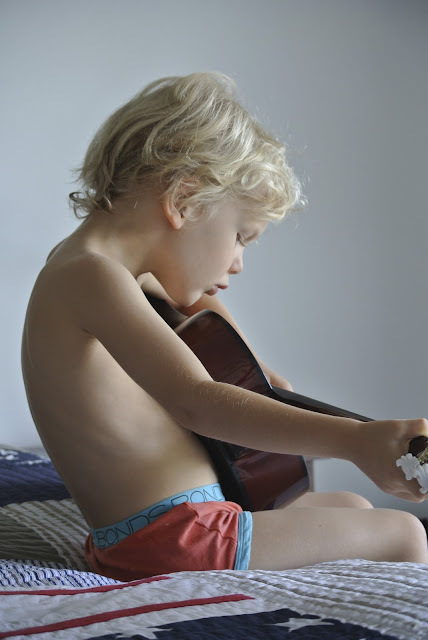 I love the contrast between the two guitar photos...the one of Harry playing in his jocks is so sweet! Lovely photos, it surely is a wet one! Tell then to stick with the guitar... Future boy band of brothers?? Beautiful photos! that is one beautiful pack you have.